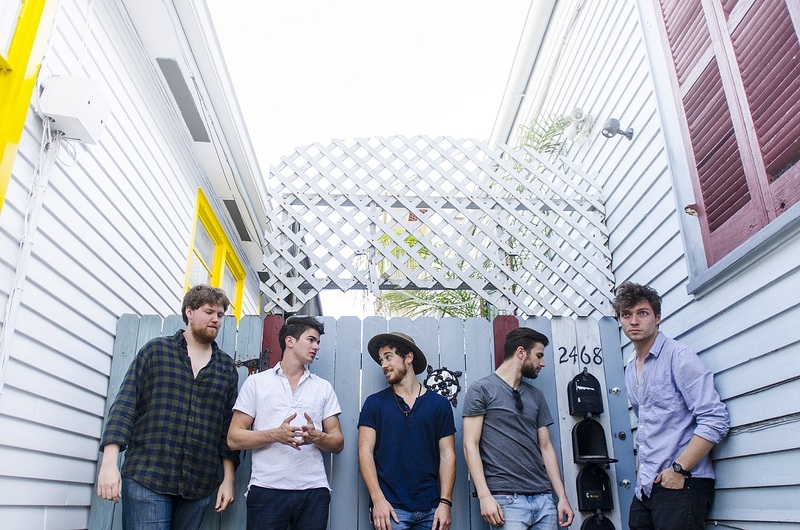 If you are a fan of live music living anywhere from Texas to the Eastern Seaboard, you may have heard of the up-and-coming New Orleans-based group, Stoop Kids. If you haven’t, then get ready. Atwood Magazine is proud to be premiering Stoop Kids’ brand new mixtape, Queue (independently out May 5, 2017). Choosing the medium of the mixtape stemmed from the fact that each of their songs has such a distinctly different vibe, spanning decades of creative influence. In order to bring some sort of logic to a seemingly disjointed assortment of tunes, Stoop Kids combined them all into one project so as to fixate on the haphazardness and have fans make up their own sense of coherency. Consider it “a mixtape a friend made ya of all different styles, it just happens to be one band,” says frontman Griffin Dean. Accompanying the highly-anticipated release with months of national touring, Stoop Kids faced some unfortunate weather conditions this past Sunday at the New Orleans Jazz & Heritage Festival and were forced to cancel their set, to everyone’s dismay. As a band who developed the foundation of their original New Orleans fanbase through their live performance antics and high-energy arrangements, they refused to let their fans down. Performing at their own Mixtape Release Show tonight, May 4th at Gasa Gasa in Uptown New Orleans, the guys are sure to bring a party. For those highly-observant fans who noticed the changing color scheme on their Instagram page with each new single’s announcement for the past 365 days, the final mixtape’s album artwork is the complete set of familiar billiard balls in their own polychromatic reality. Perhaps the mixtape’s title has something to do with the all-important “cue” ball that can be used to strike at any angle, similar to the genre-bending capabilities of the band. Or maybe that’s a fan theory taken too far. 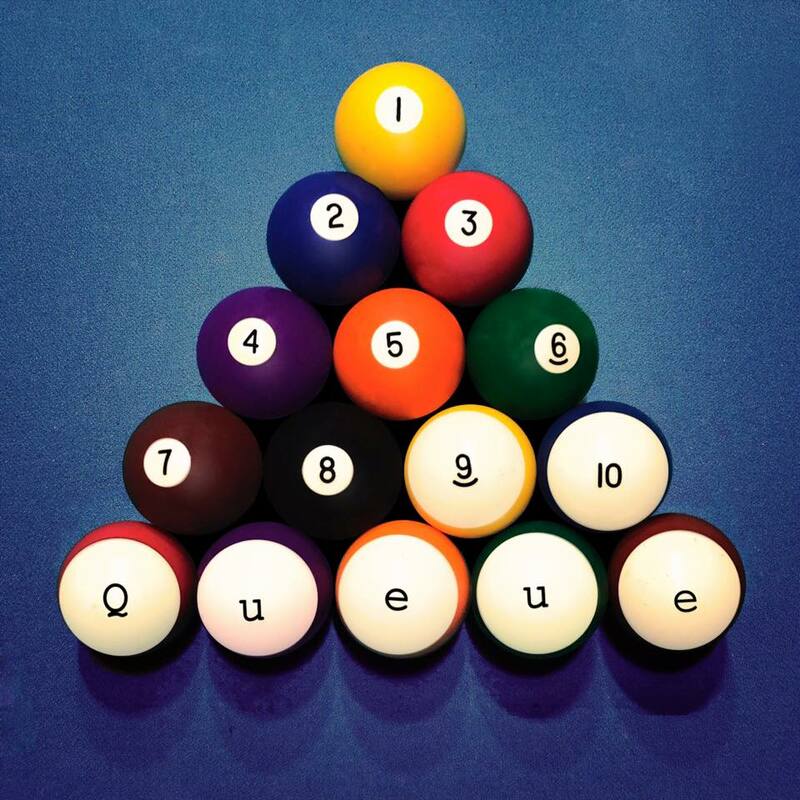 Regardless, as the cumulative collection of seven of their recent hits and three new gems, Queue stands apart from Stoop Kids’ previous two albums as a hand-selected selection of songs that showcases the five-piece band’s shape-shifting artistry. It promises a more refined and laid-back take on the high-energy live versions of each song that their fans are all too familiar with. The alternative hip-hop opener, “Quit You” kicks off the album with an dangerously flirtatious tone, a testament to the boyish charm of each and every one of the band members. Following with the doo-wop-flavored “Good Enough,” Griffin Dean croons dreamily about romantic possibilities with a reluctant lover, yet settles for whatever he can get. Picking up the pace with “Motions,” they incorporate an infectious Prince-like groove with some chaotic sound effects halfway through to portray the nonsense that comes with working to one’s limits day after day. As a band that experiments with genre and pushes all sorts of musical boundaries, it is no surprise that their next song, the surf-rock “Curious Man,” embraces their open-mindedness and trades in traditional masculinity for confident individuality. Infusing jazz elements into the Mac Demacro-esque “Hey Banana (feat. J.O. ),” they slow down the previous excitement and leaves the listeners is an uneasy trance as they reflect on lingering memories of a past encounter. “Tahoe” is a farewell song in all its classic rock glory, written about leaving behind the comfort of their own homes for a two-month long tour. “Better Left Unsaid” is reminiscent of some of Drake’s auto-tuned songs and certainly conveys a similar emotionally charged message. Following suit with another vocally distorted song, “Got Soul” tries to sort out the emotional disconnect in a relationship. “Comeback Girl” hearkens back to the band’s smooth doo-wop and surf rock sounds predominant in their first two albums to let a girl know how much of a lasting effect she has. Finally, “Morning Dues” rounds off the album in under a minute with themes of desire and complaisance, leaving the listener in a poignant state for what’s to come. Stoop Kids are absolutely a wild card. The way that they experiment with various sounds and themes may seem incoherent, surprising, and even random, and maybe it is. But that’s what makes listening to them such a pleasure, and that’s what keeps them in our “Next Up” queue — we never know what we’re going to get, but we know we’ll always walk away more than satisfied!